It's been an interesting week in the world of business, from a smartphone pioneer losing another major client, to travel troubles on land and sea that have cost two companies some serious goodwill. Here's a rundown of this week's biggest wins and losses. Home Depot (HD) is going iPhone. The home improvement retailer will be swapping out the 10,000 BlackBerry devices that it provides to executives, managers, and corporate staffers for Apple's (AAPL) iconic smartphone. BlackBerry should be used to this by now. 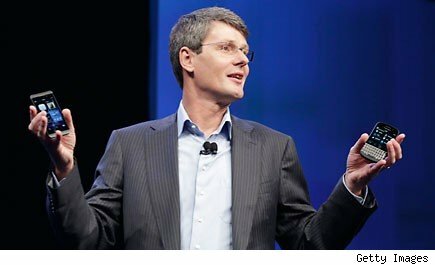 Despite having nearly 80 million accounts worldwide, BlackBerry is seeing a lot of companies either backing away from the pioneer as their wireless platform of choice or introducing "bring your own device" policies that let employees decide what smartphones they want to use. This particular exodus stings even more because it comes hard on the heels of BlackBerry's introduction of its new BlackBerry 10 operating system and phones a mere two weeks ago. The company was just starting to generate some positive buzz, but now we're back to discussing the user base's defection rate. Warren Buffett has a hankering for ketchup -- with a side of fries. Berkshire Hathaway (BRK-A) (BRK-B) is teaming up with 3G Capital in a $28 billion deal to acquire Heinz. The buyout will cash out investors at $72.50 a share. There won't be too many unhappy investors, since that represents nearly a 20 percent premium to the food giant's all-time high. Heinz makes more than just its namesake slow-pouring ketchup. This is also the company behind Ore-Ida fries, Bagel Bites frozen snacks, and Clasico pasta sauces. Buffett may or may not be overpaying for the company, but it's still a winning deal for Heinz shareholders. Weren't Tesla's electric cars supposed to be fun? Tesla came under attack in a New York Times article on Sunday, detailing how a Model S test drive stalled as it failed to live up to the car's battery life claims in cold weather, and left the driver unable to complete a simple trip from Washington, D.C., to Boston. Tesla's Elon Musk decided to fire back on CNBC on Monday, arguing that company logs show that the driver didn't wait for a full charge, took an extended detour through Manhattan, and drove as much as 10 miles per hour above the speed limit at times. Musk's claims may very well be true, but does this mean that Tesla's expensive cars are only for patient, direct, and speed-abiding drivers? Tesla may be missing the point as to who would spend at least $60,000 on a car with limited driving range between charges. However, it's worth noting: CNNMoney reporter Peter Valdes-Dapena decided to test the Times' premise himself, and made the D.C. to Boston trip in a Tesla, with a bit of anxiety, but with battery charge to spare. Netflix is already generating plenty of healthy buzz lately on this month's debut of "House of Cards," but now the company is turning its attention to original programming for kids. Netflix has become the exclusive home for DreamWorks Animation's (DWA) "Turbo F.A.S.T.," a new animated series for children about a speedy snail that will be available through Netflix come December. If kids aren't familiar with the snail, that will likely change this summer. "Fast" is actually DreamWorks Animation's next theatrical release, screening at thousands of multiplexes come July. The world's largest cruise ship operator has another maritime mess to clean up. An engine fire on the Carnival Triumph idled the ship on Sunday. As of Thursday night it was still being towed ashore. Ghastly passenger stories of overflowing sewage, long lines for scarce food, and inoperable plumbing have been reported. The cruise industry in general and Carnival in particular won't recover from this right away. Vacation mishaps happen, but Carnival has been the source of too many grounded or stalled cruise ships lately. It will be that much harder to woo first-time passengers and even frequent cruise takers have to feel hesitant in the wake of Triumph. Coinstar or Netflix in 2013? Motley Fool contributor Rick Aristotle Munarriz owns shares of Netflix. The Motley Fool recommends Apple, Berkshire Hathaway, DreamWorks Animation, H.J. Heinz Company, Home Depot, Netflix, and Tesla Motors . The Motley Fool owns shares of Apple, Berkshire Hathaway, Netflix, and Tesla Motors . Try any of our newsletter services free for 30 days.